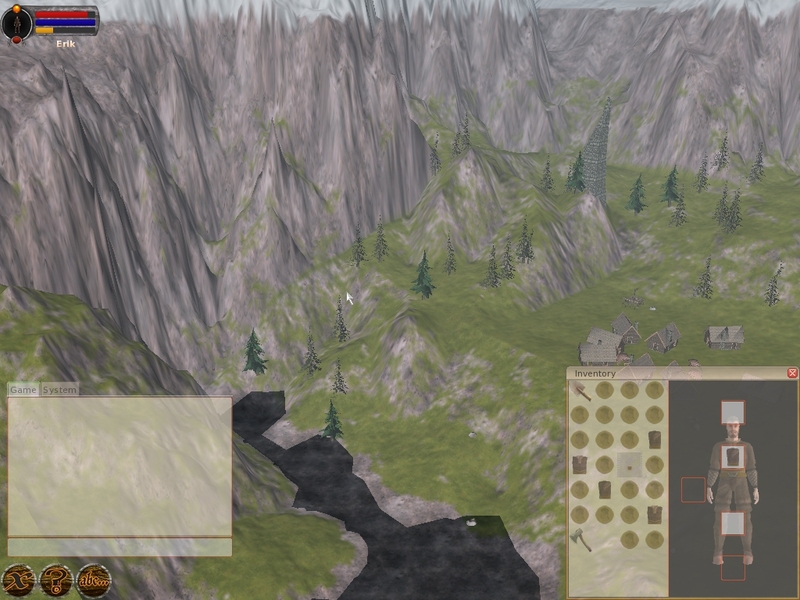 The new terrain rendering system is working really nice and I've now fully integrated a shader based terrain material. The idea is to optimize the material by trying to reduce the number of passes needed. By combining the different coverage layers into one single texture we can keep the number of passes down. On my card with 16 texture units I can squeeze in 12 splatting layers in one pass. Now that I've got that part done I'm working on getting some more advanced features such as normal mapped terrain working. There are a couple of performance issues to take into account though. There's no reason to render the terrain with normal mapping on when it's in the distance. I'm thinking of adding some features which will allow the engine to automatically create pre-baked textures for the distance, where all of the layers already are put together without the need for splatting. On the media front, Jayr continues to bring out really nice media. He's reworked the two room house, the gallows, the jetty and the stalls. Most of these are already brought into Ember, with full support for normal and specular mapping.